Author Higley with his first Osceola turkey. He got this bird on a hunt last spring in Florida. This bird gave Higley his first grand slam. I’ve been writing about turkey hunting since 1971. That’s when the first spring turkey season was held in California. It was around that time that turkey hunting started to grow in importance throughout the country. Thanks to game department conservation efforts, turkeys were introduced to new areas and the population increased across historic range. 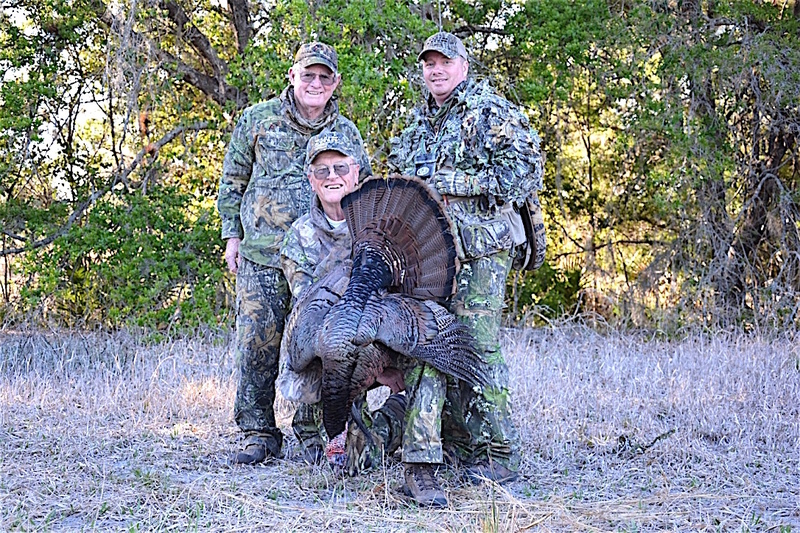 With the opening of regulated hunting seasons hunters discovered the challenges, excitement and rewards of turkey hunting. Some of us have become at least partially addicted to the pastime. Over time, if you succeed in harvesting the Rio Grande, eastern, Merriam’s and Osceola subspecies, you have completed a grand slam. Add a Gould’s, and you’ve got a royal slam. The reason why the Gould’s isn’t part of the grand slam is because hunting them in the U.S. is restricted to a small area in Arizona and tags are quite limited. Most slam hunters, therefore, go to Mexico where the Gould’s subspecies is widespread and numerous. 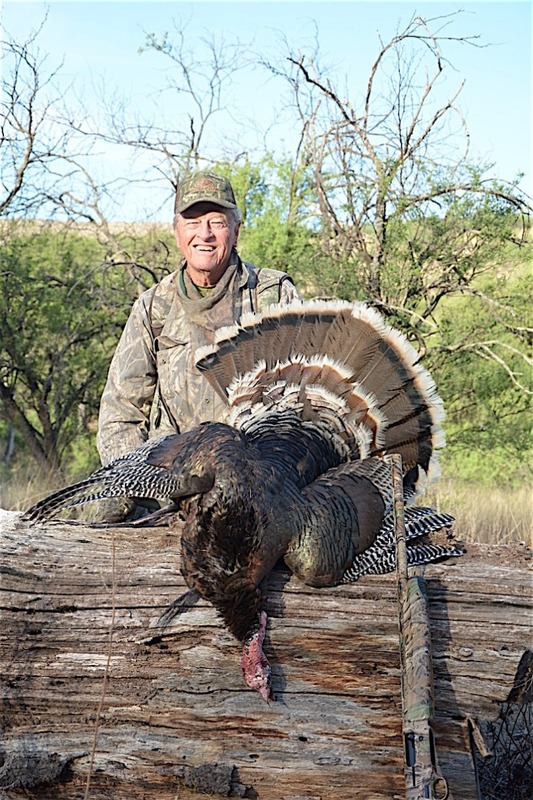 I have hunted turkeys in more than a dozen states, and, recently, I went to Mexico. Long ago I had the eastern, Rio Grande and Merriam’s turkeys. However, it was not until last spring that I went to Florida for an Osceola. On that hunt I was with Matt Morrett of Zink Calls and Avian X television. 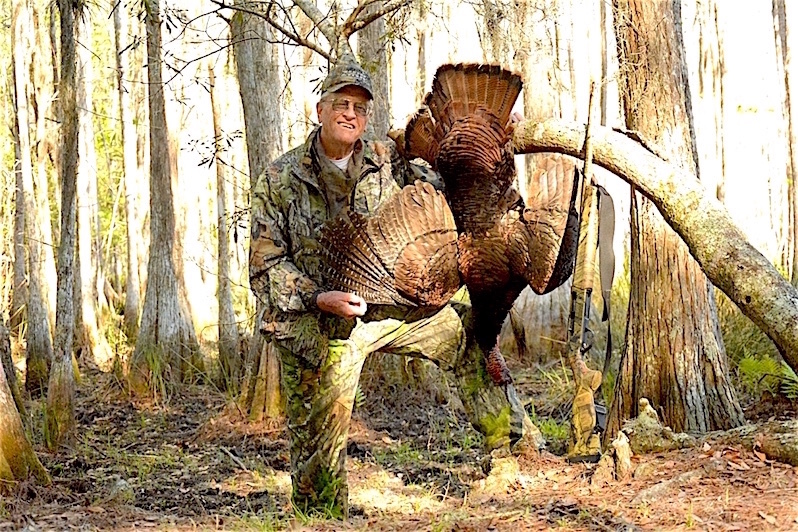 Our outfitter was Jim Conley, who has specialized in hunting Osceola turkeys for decades. On that hunt I got an Osceola tom and thus acquired a grand slam. Later in the spring I traveled to Mexico for a Gould’s turkey and joined the ranks of royal slam holders. For me, the slams have been a long time coming. Despite the amount of turkey hunting I do every year, slams have not been an overriding goal of mine. However, getting the slams was fulfilling, and I can see why some avid turkey hunters would put it near the top of their bucket list. 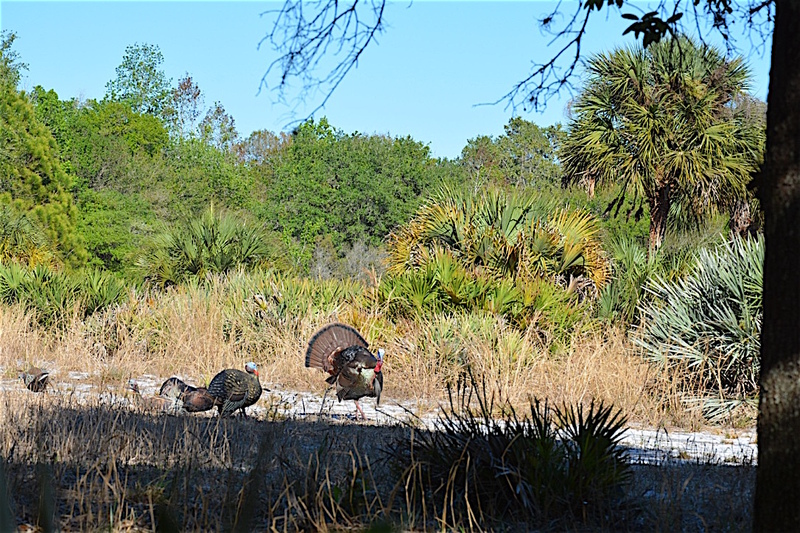 There are lots of places to go for the eastern, Merriam’s, and Rio Grande turkeys, so the most difficult turkeys to come by are the Osceola and Gould’s. Nonresidents in search of an Osceola will need to connect with a reliable outfitter in south Florida where the Osceolas are found. Jim Conley is certainly that. He’s close to retirement but his guides, Scott Basehore and Pat Strawser, will continue to run the operation. For info, contact them via email at cbasehore@yahoo.com or patnba@epix.net. As for the Gould’s, I hunted in Sonora with Jorge Camou who can be reached at sonoradventus@yahoo.com.mx. I’ve known him now for three years and I have complete confidence in him and his down-to-earth method of doing business. I do not feel apprehensive in any way when I’m with Camou who speaks English very well. If you’d like to talk about turkey slams with me, you can email me at johnhigley@gmail.com. Leave your phone number and I’ll take it from there. Spring 2017 was an eventful time for Higley as he also harvested a Gould’s turkey in Mexico, and thus met the requirement for a royal slam. 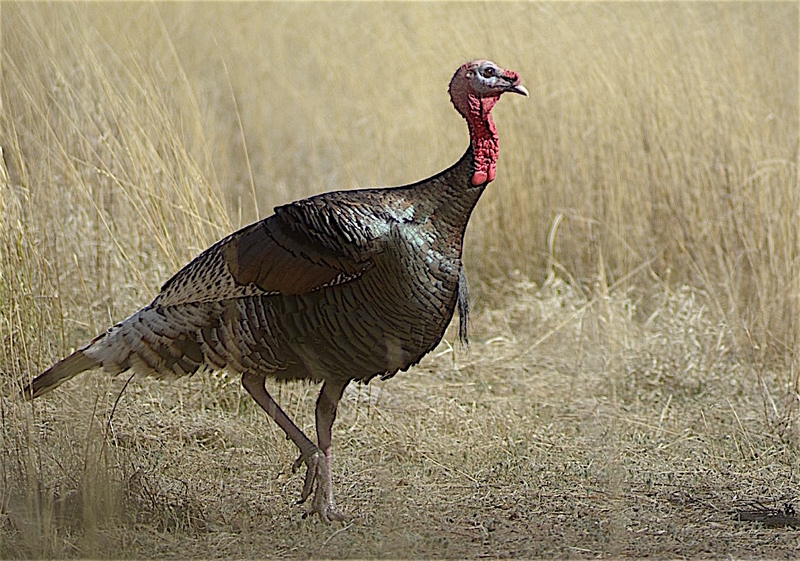 This Gould’s tom is responding to what he thinks are the tempting calls of an honest to goodness hen turkey. This Osceola tom is approaching an Avian X decoy. Higley collected his first Osceola, a different tom, shortly thereafter. 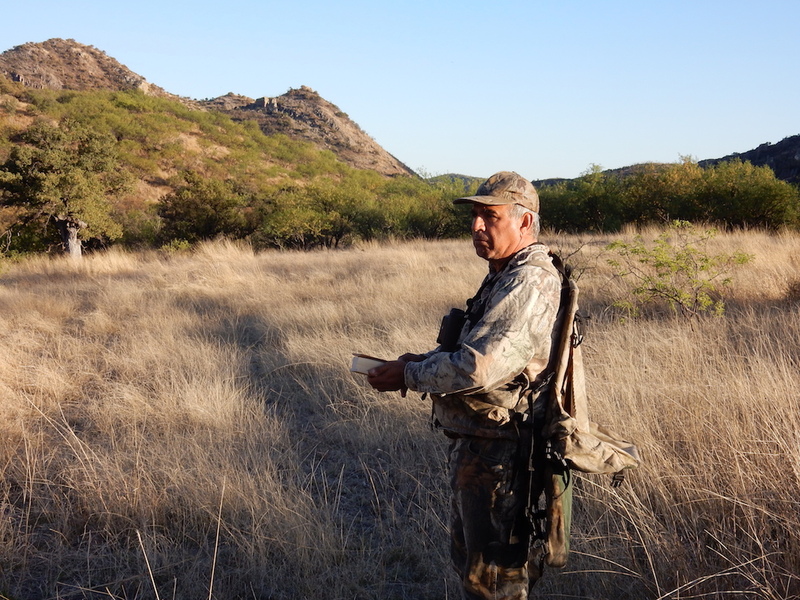 Outfitter Jorge Camou, seen here scouting for turkeys, offers highly successful hunts for Gould’s turkeys in Sonora, Mexico. Higley hunted Osceolas with outfitter Jim Conley (left) and Avian X television host Matt Morrett.